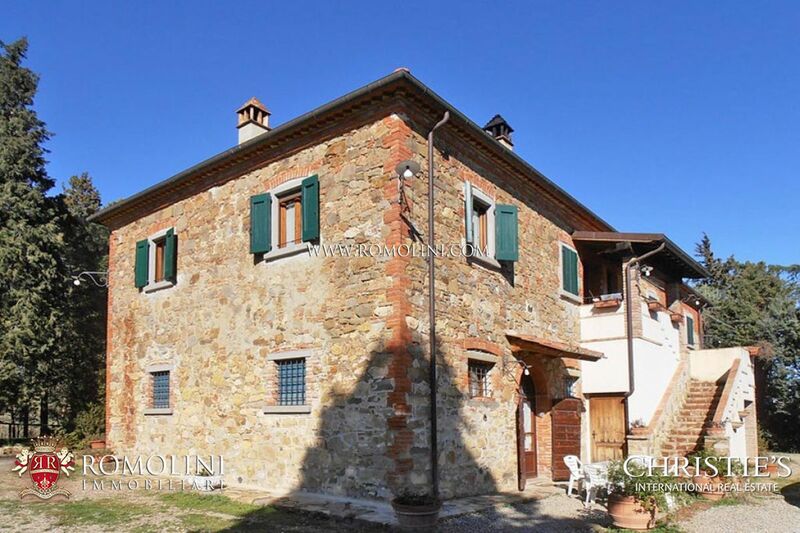 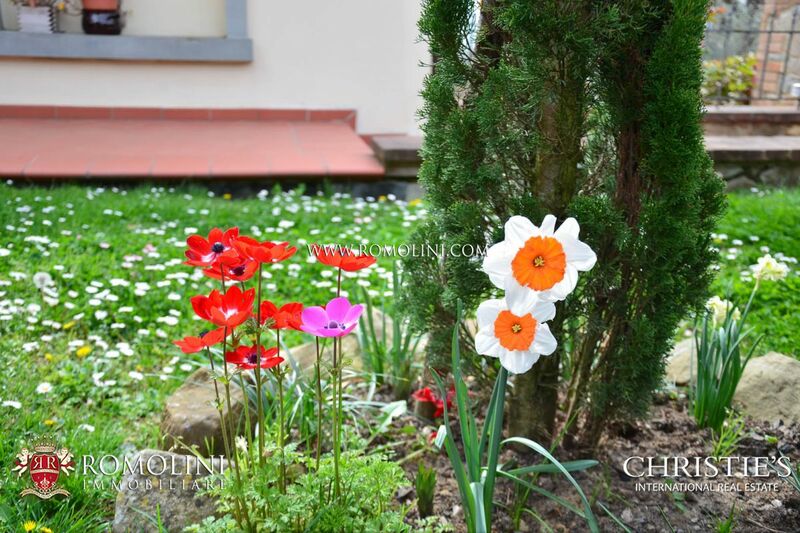 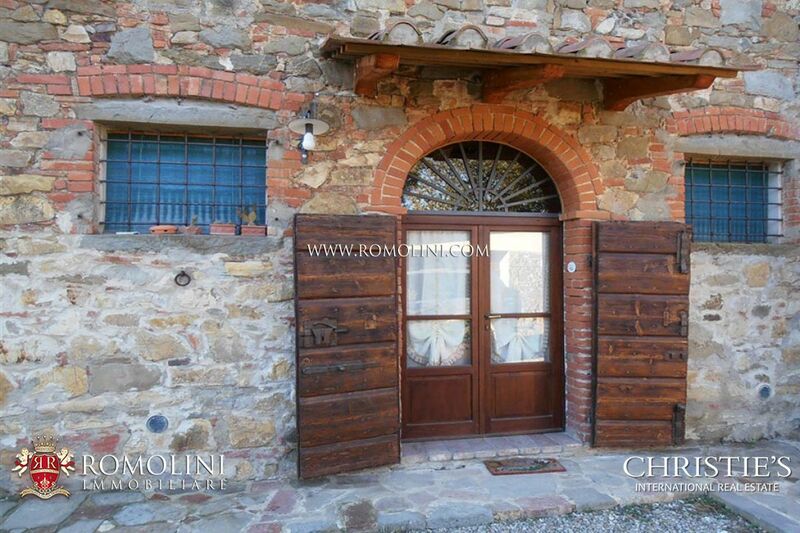 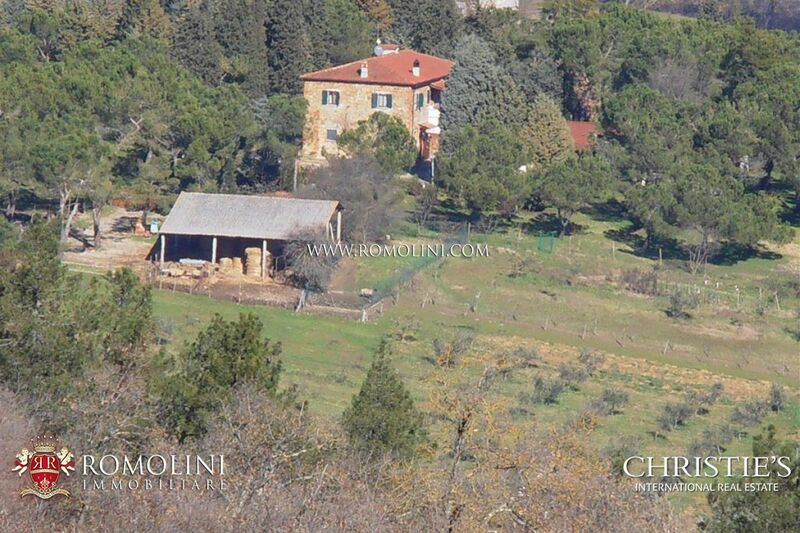 In the municipality of Lucignano, sitting on a beautiful panoramic position, historical stone and brick farmhouse restored using original materials. 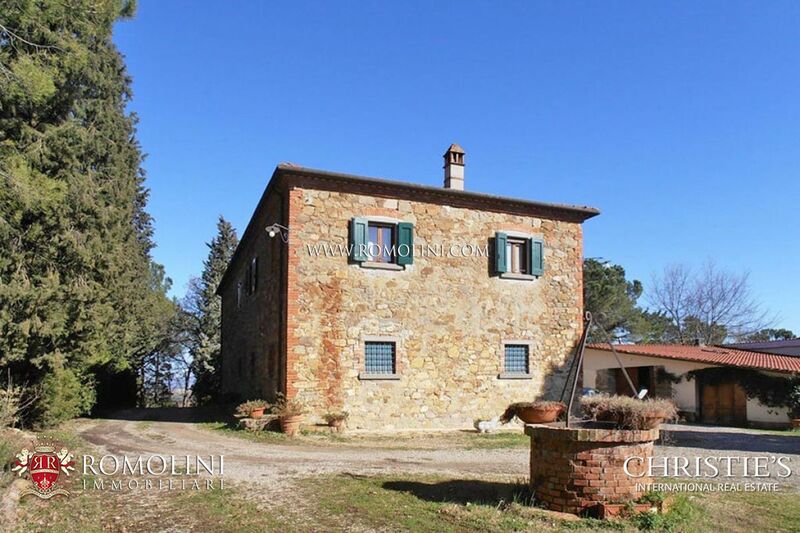 The property is completed by an old barn of 73 square metres, where there is a dining room with perfectly working wood burning oven, as well as a storage room and 3,8 hectares of land with 125 olive trees, woodland and agricultural land. 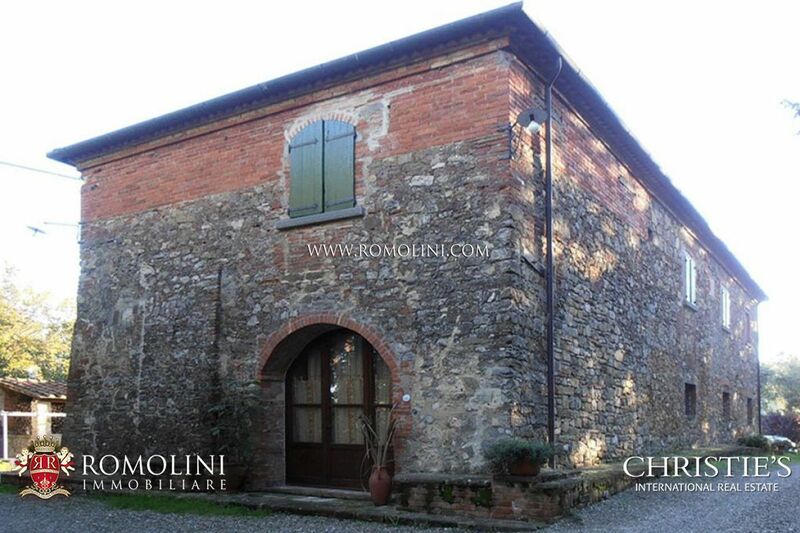 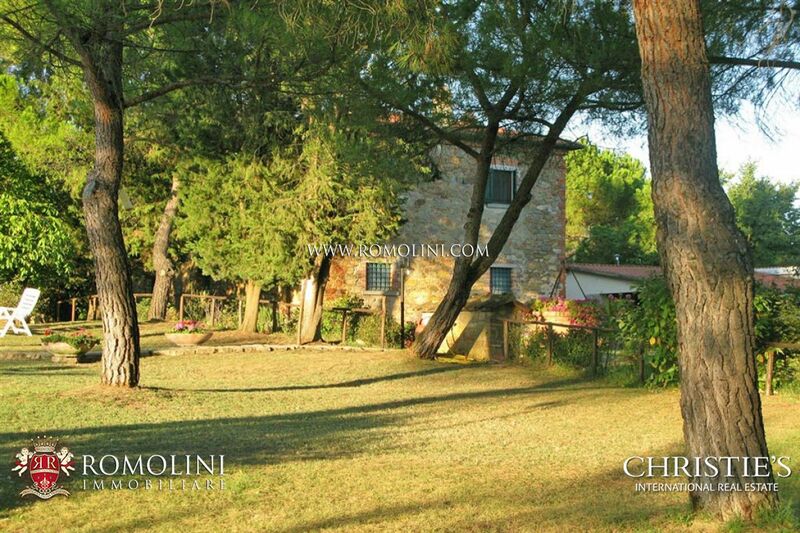 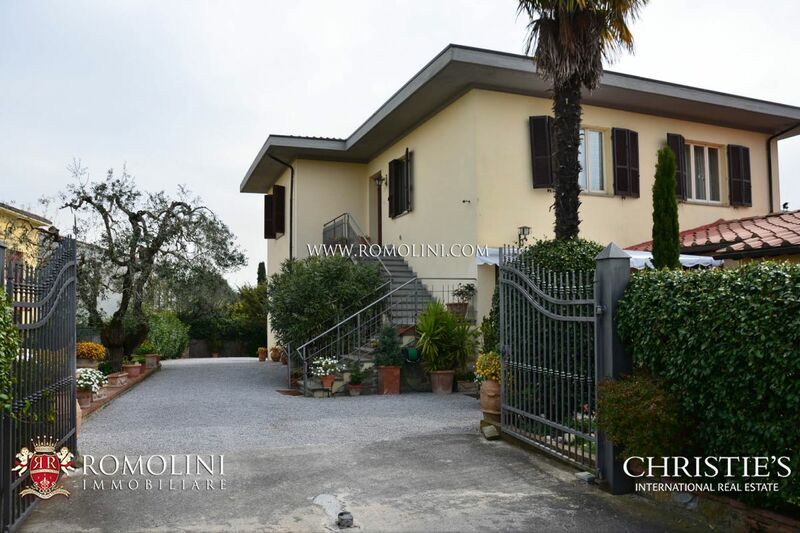 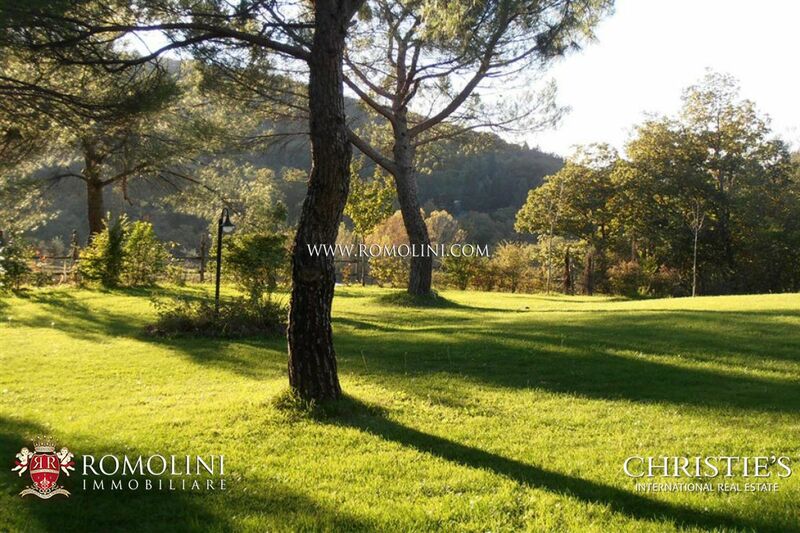 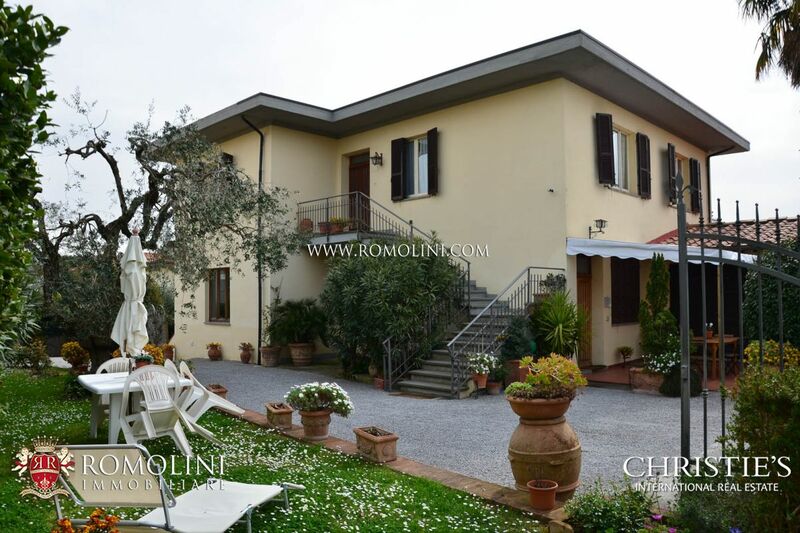 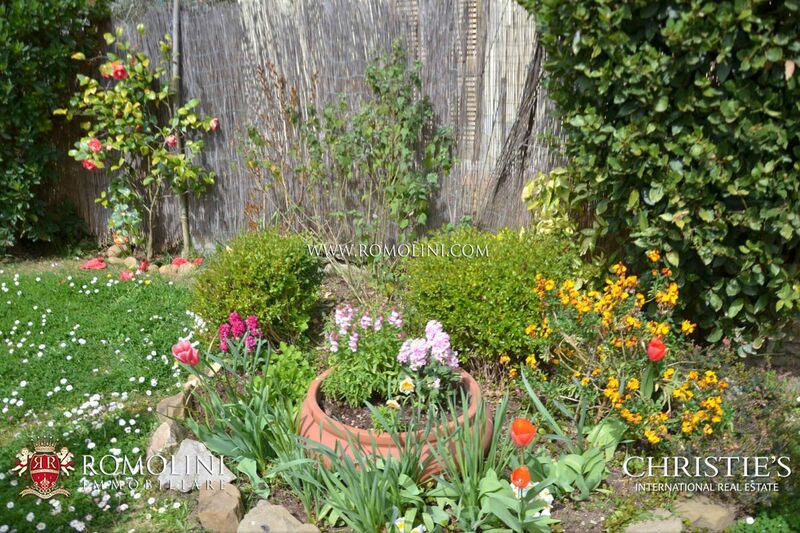 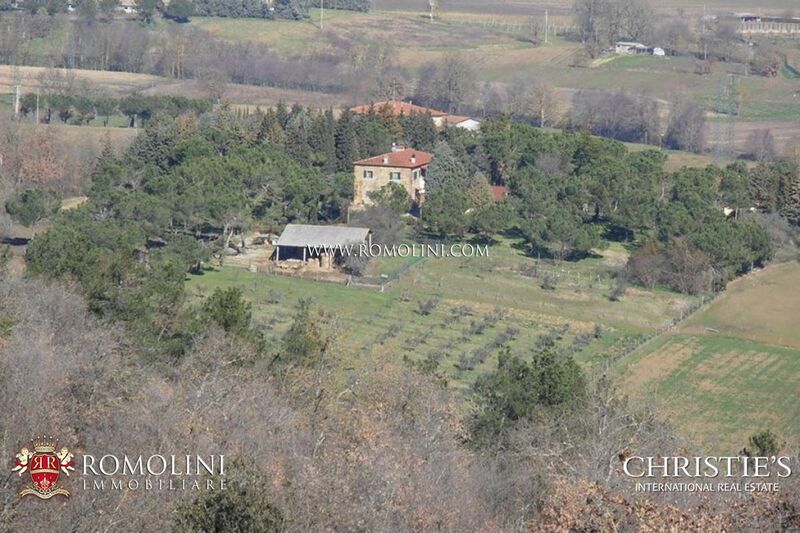 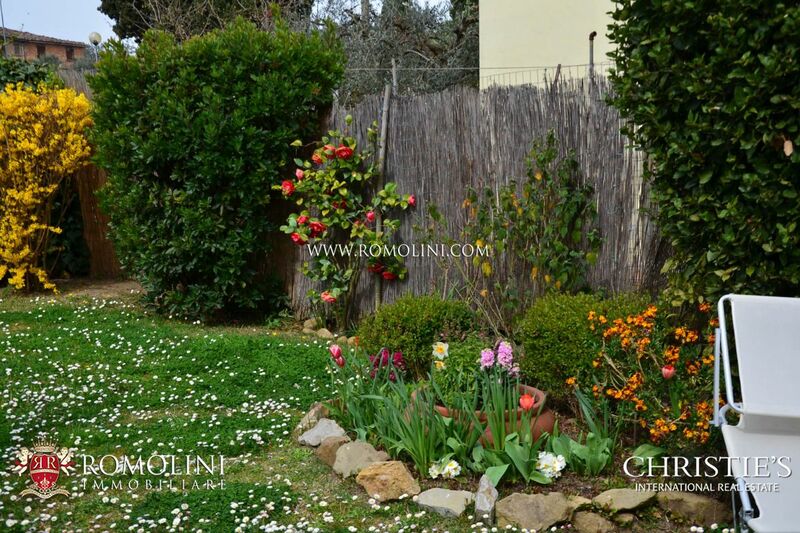 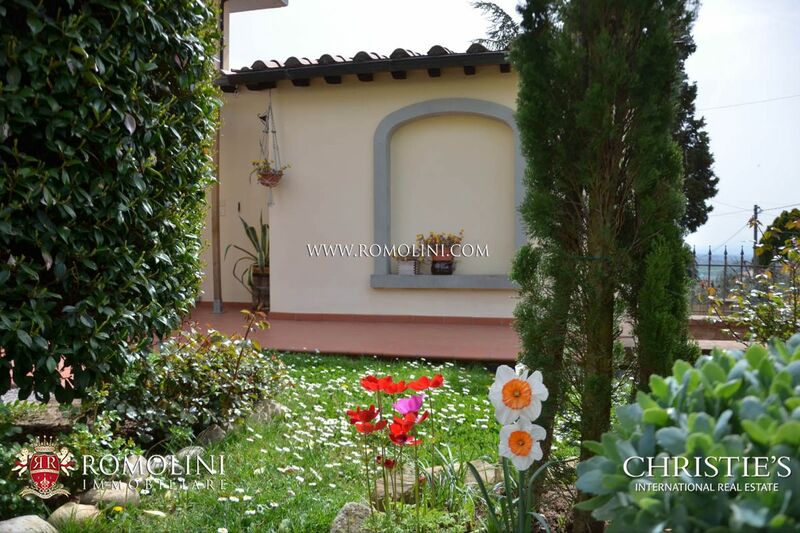 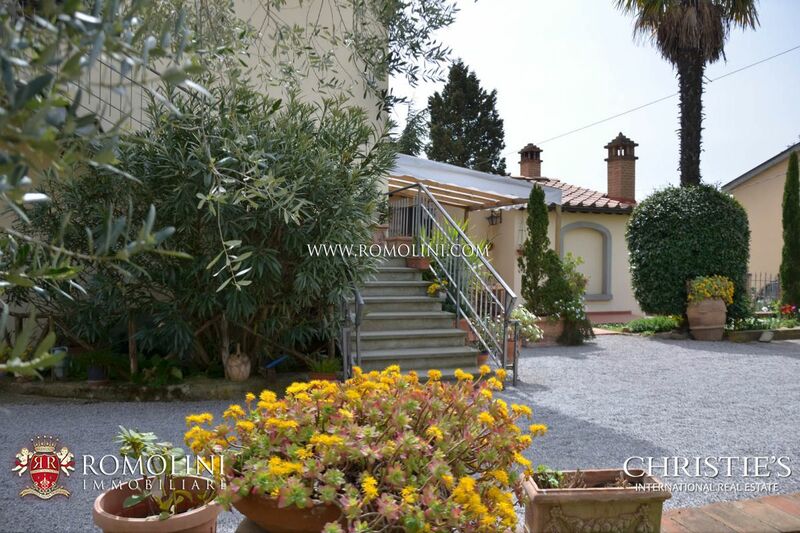 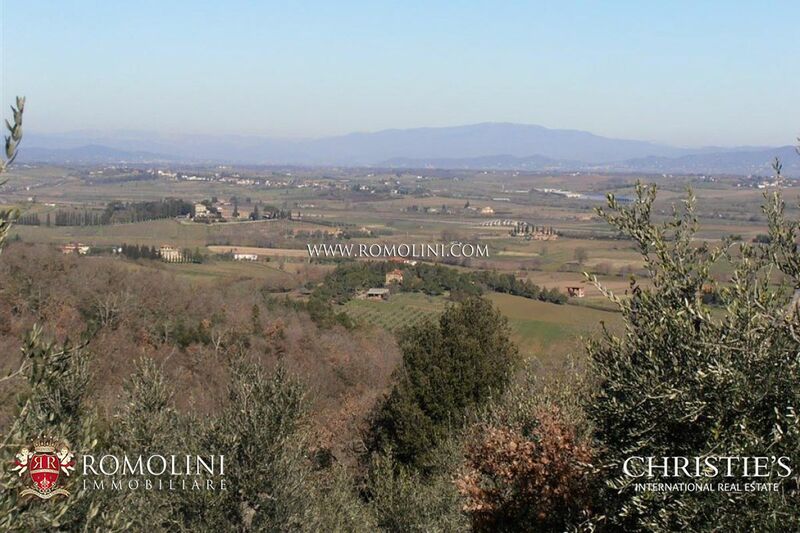 On a hilly location, placed a few kilometres from the historical centre of Lucignano, ancient stone and brick farmhouse with dependance, swimming pool and surrounding land. 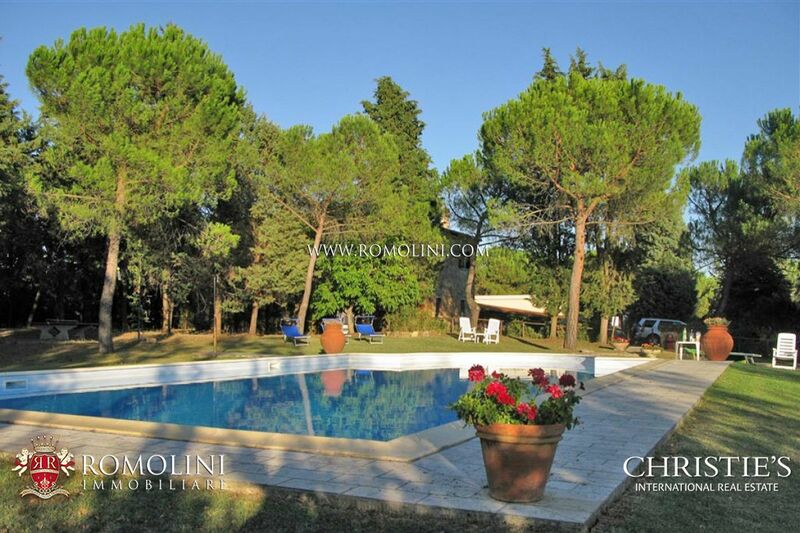 The property is surrounded by a large park of 8000 square meters with tall trees, where it is placed the pool of 14 x 8 m.